Click the right mouse button on the operation and select the <Transform tool path> item from the context menu. The opened dialog is an analogue of the model transformation dialog. 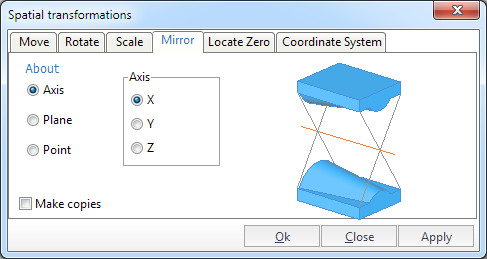 <Locate Zero> bookmark allows to move the tool path using the dimensions of toolpath.